Now that you’ve undoubtedly been wowed by those images think of some earthly places you’ve seen. Just in Australia I’ve seen tropical rainforests, snow covered mountains, stony deserts, amazing coral reefs and beaches with kilometres of golden sands. I’ve seen giant Eucalyptus trees, tiny orchids and wonderful little insectivorous Sundews. In my backyard I’ve seen Springtails so tiny you’d fit a dozen on a pinhead, absolutely beautiful rainbow coloured beetles and an hours drive away giant Southern Right Whales playing with their young off Middleton Beach. Earth is home to millions of different species of plants and animals BUT the species which claims to be the cleverest is the one fouling it for everything else. People have caused the creation of the Great Pacific Garbage Patch but it’s apparently “too difficult and too expensive” to clean it up. Not as expensive though as a little trip to Mars! One country is prepared to spend over $2.47 billion on an expedition to Mars, a planet that to me is less appealing than the most inhospitable place on Earth I’ve ever been. I wish that the billions being spent on nuclear weapons and space exploration was instead used to remediate the damage done to this incredible planet we live on now. These days it’s proved impossible for me to resist the tidal wave of the mobile phone. A big issue for me has been the “always available” aspect but currently the most annoying feature relates to fashion. Yes, the fashion of bigger and bigger screen sizes but also the fashion for false pockets or sagging pockets in clothes. It’s summer now and hot so wearing nice loose clothes keeps me comfortable, I don’t often wear dresses but those I do wear don’t have functioning pockets. The lovely, loose, soft pants which are currently fashionable have equally soft, loose pockets which means that every time I sit down the phone silently slips out and often disappears into the side of the seat cushions. If I keep the phone in a bag when I go out I become all thumbs when I try to retrieve it to answer a call. Frustrating. I’ve discovered a solution at least to the soft pants, a press stud midway on the pocket edge and that’s where new meets old. The mobile phone and soft, loose pants are the new while the press studs I found were definitely old. The one I used today was the last on a card I found in my grandmother’s sewing basket. She died in 1959! With the birth of a new grandchild coming up in a few months the subject of names has come up again. I started to wonder if the name given to a child makes them more likely to develop certain characteristics. I’m sure Mum had most say in naming us and I was registered, “Rosemary Sue” but to Dad that was too fancy and I was always called, “Sue”. I wasn’t Suzanne, Suzanna or Susan, just Sue and I was used to that. When I went to a private secondary school Mum convinced me to let them all think I used my first name. It never sat well with me and as soon as I left school I always introduced myself as “Sue”. I’m not someone who likes to stand out, I don’t like parties and big celebrations much preferring smaller family get togethers. If I’d been called “Rosemary” all my life would I have been different? Would I have seen myself as someone much more complex and interesting? If I’d chosen my own name it would probably have been something like “Josie “ or Rebecca” to me they’re nice to say, they have a bit of mystery to them, I wouldn’t have been one of six in a class but nor would I have been constantly explaining my name or spelling it out for people. My own children seem to suit their names perfectly and because the names have been around for hundreds of years people can’t tell their ages just by hearing their names. When I hear the names “Summer, Rainbow and River” I always think they’re children of 1970s “Flower Power” parents. Some children are lumbered with names from TV series and others share names with offspring of famous parents. I think it’s lucky for baby girls that no-one famous has decided Gertrude, Ethel, Myrtle or Gladys are the way to go. Now, back to my original point. If my next grandchild is named Sebastian or Clementine will they be flamboyant, spirited and artistic? Would a Bruce or Sam be down to earth, thoughtful and athletic? Stephen or Alice, would they be a good communicator, self assured and academic? Choosing a name is such an important task for new parents, names come ready loaded with associations and expectations. I guess that’s why some people prefer their nicknames. OK, I’m wound up again. Recently there has been great excitement about the possibility of water on Mars. Scientists all over the world can barely contain their enthusiasm about the potential for life in some form, if there is indeed water. Images have been shown at every news broadcast and what do they look like? 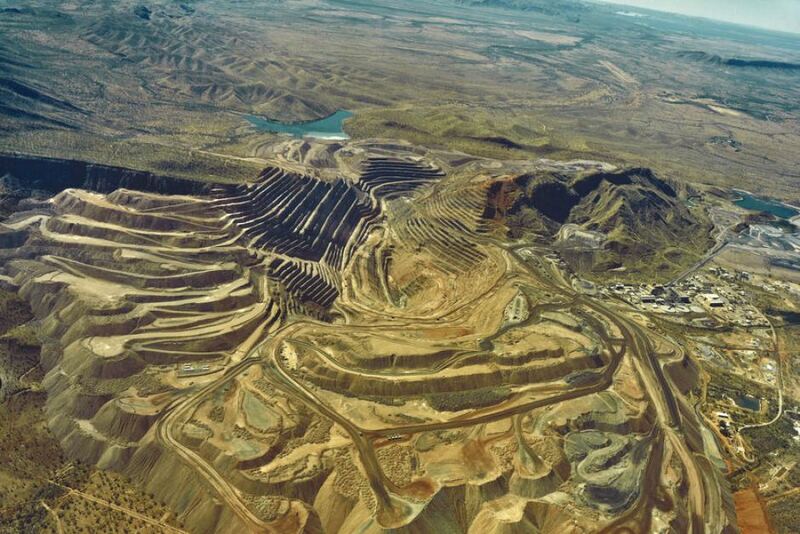 Well in my opinion they are almost identical to Australian landscapes ravaged by mining. Great cliffs of waste rock and dirt with deep gullies gouged out by the infrequent rainstorms. Not a blade of grass grows. Our Earth has absolutely wondrous environments, tropical rainforests, vast grasslands, temperate forests and even exciting deserts where, if you look closely, you can see fascinating plants and creatures living in harmony with the tough environment. We have amazing water courses, lakes, rivers and seas teeming with a myriad of different life forms. It seems to me that Mining Companies are being allowed to take this amazing place and turn it into another Martian landscape. Is history just repeating itself? Did man live on Mars long ago? I really can’t get my head around the fact that at the same time we’re destroying our own amazing environment so many people are excited by what they see on Mars. They obviously don’t know they can see the very same thing if they just take a trip to any one of the mine sites in their own state.